Every angler wants to find the best strategy for their angling. The most critical factor in catching sazan is the place. 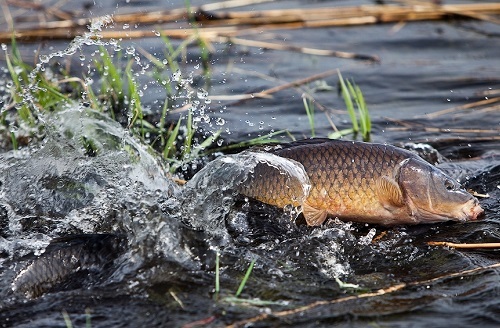 It is true, for all the carp species, but it is more critical when you try to find it in the river. You have to remember rumours, data about the previous catches, tips and tricks. You need to walk around all the shores, talk to local anglers, boat owners, which always surprised about my excitement when they tell about a big fish with a bronze colour, that feeds on the food leftovers thrown in the water. Most of the times, I make one expedition, to feel the lake and find the best places for bottom baits, catching from the surface or float, and also determine the locations of algae, bottom type, rocks etc. Your eyes will be protected from flashes on the water by polarising glasses. You better not go hunting without them. Winter, summer, fall, spring – they will help you every time of the year. Seeing location is an important thing, and polarising glasses remove the flashes and allow you to see everything that you need. 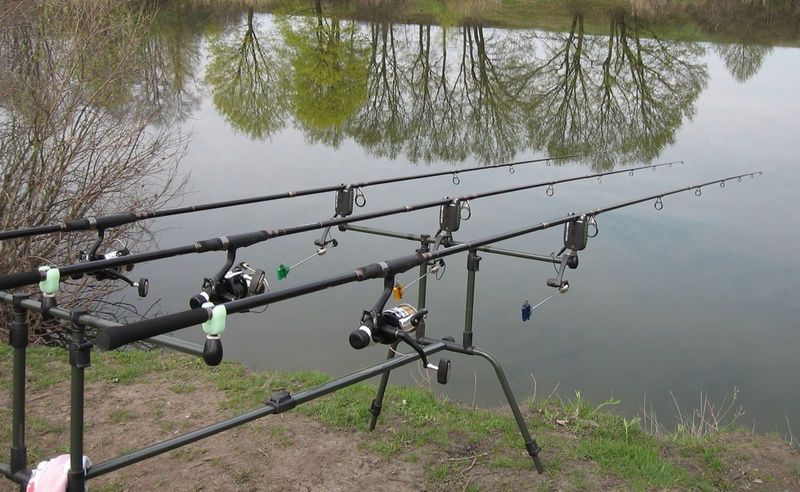 Fishery – frequently colours angling, especially when the hunt is about the sazan. Second clothes are necessary for that situation. You can’t know for sure if the rain will start, and not a lot of people want to stay caught in wet clothes. Don’t wear bright clothes, wear grey, green, brown, and other natural colours. Not having light reflectors is essential. It will affect your invisibility for its. Protection gloves for defending your fingers from the line. Use special gloves to protect fingers from the sharp edge. 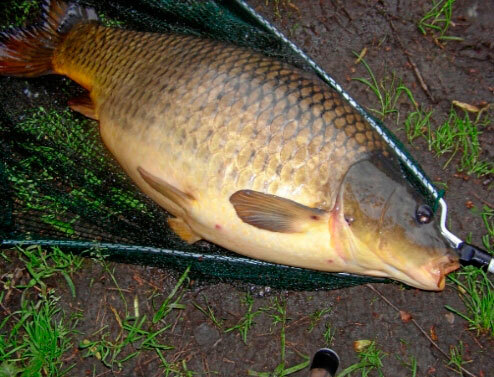 Did you catch a carp of your life? But no one can take a picture of it? Then you have to buy a camera with a tripod, set the exposure for ten seconds – the camera would do everything itself. You can download unique apps for your phone that will show you the weather, pressure, moon phase. It is very comfortable to receive information while being directly in nature. Watching its while standing on the high ground is more comfortable with the help of this device. Also, it allows seeing far splashes. A chair can help you spend hours of waiting for the catch in comfort. It can be folding or stationary; the most important is that it is convenient and that the angling process will be pleasant. Many finding types of equipment will only make your life harder. They look like useful tools, but in fact, you can quickly go on without them. Use them just if they will solve the problem, not create it. Try not to stick to the one place. Never go fishing with a premade route of swimming or angling. Carp will probably be in areas where you expect her, so try new homes instead. You will gain much more experience in angling. Don’t wait for it to come to the lure when he is not there. Besides, if you see an opportunity to change place – change it without thinking, and you will be sure that finding is easier if you move more. Don’t turn it if it works! It’s hard to understand anglers that change lure even after the most incredible catches. From year to year, we see anglers, that practically devastate the lakes using only one type, a model of the lure. And then, in next year, decide to change the bait to utterly different one. If it liked your trick, why turn it? You don’t have to change it (if you don’t have the evidence that lure loses its effectiveness). Some anglers will say that bait has “dried out” and catching became less effective, and that can explain them by changes in carp’s habits, trends or behaviour (but she didn’t stop liking this lure!). Try changing the tactics again, using the same trick, and you will find your results quite surprising. Sazan is not that smart, to start avoiding some lures. It likes different lures in different waters, its senses what he likes, and eats it. Very smelly/ colourised tricks with low nutrition value are much less useful. It can try it, but after he tries it, he will find out that it’s not what he wanted. That lures work good when used in the water for the first time, just like tickets to the new cinema, because after a few weeks the interest in the movie will fall. One of the most massive sazans in the country caught in 20-30 cm from the beach. Steep sand in many lakes, rivers, reservoirs is an excellent source of food. Let sazan try what other anglers don’t use. You will be happy with the catch. Feel the features and the depth of the base. After the throw, the line is in the tension until the bait will fall to the bottom. When it reaches the bottom, it will sag. Also, with the help of stepwise wiring, you can determine the relief of the base and nature (mud, shell, clay, pebbles). If you stick to one way of throwing and want to know if it’s successful – stay true to it no matter what, for the defined term. Rejecting the method due to the absence of bites is inexpedient, perhaps the reason is in detail – you have to work on them. Don’t meddle with a change of place, be ready to move. Putting your stuff around in one place is a bad idea. Be mobile. The fish change it’s frequently placed. Many parts if anglers catch it from not that far from the shore (40-60 meters). But sazan after the wave of hunters feel the danger and goes far from the coast, and hunters think that it hates their lure. Success awaits only for those who throw their bait at the distance of 100-140 meters. But don’t forget about the shore. Do not neglect to catch at the surface. In hot summer days, do not neglect to catch at the surface. Some successful anglers catch large carps every year in the upper layers, and this is a perfect tactic in those times when nobody can pick anything on the bottom. Method of loss and tries – is a thing that leads every man to success. Angling is not an exception. You shouldn’t change your gear completely, but you can try catching in different places, change rods for thinner ones, use the different lure, and so on. If carp escapes, that means that the sazan is stronger than you. You will have a lot of time to practice, improve your rods and gear, and sharpen the hooks. The fishery is a process of evolution from novice to professional. It would be disappointing if it turns out to be a degradation. The more effort you put in – the more sazan you will find. It also applies to how many rainy angling trips you will take, how many times you will be angled at 4 o’clock in the morning.